President Donald Trump’s announced visit to Pittsburgh in the wake of America’s latest mass shooting — 11 synagogue congregants dead at the hand of an anti-Semite fanatic — received a cool reception. 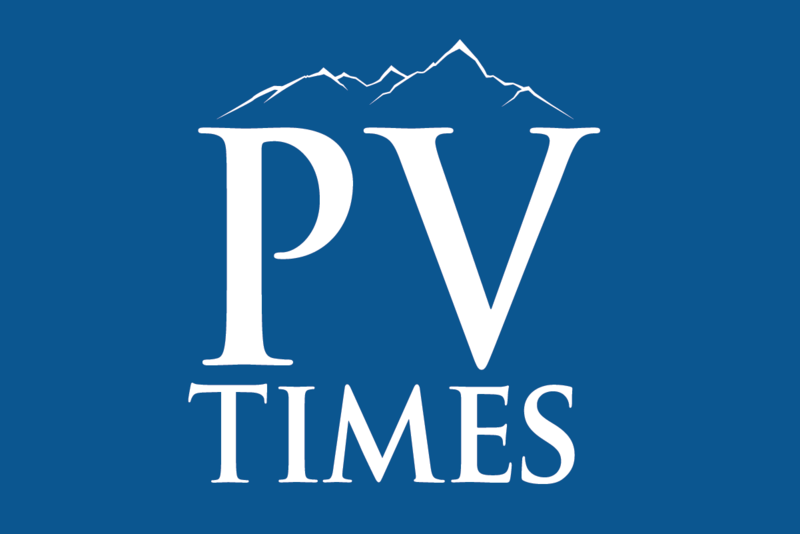 Robin Hebrock/Pahrump Valley Times In honor of the Pittsburgh synagogue shooting victims, both the U.S. 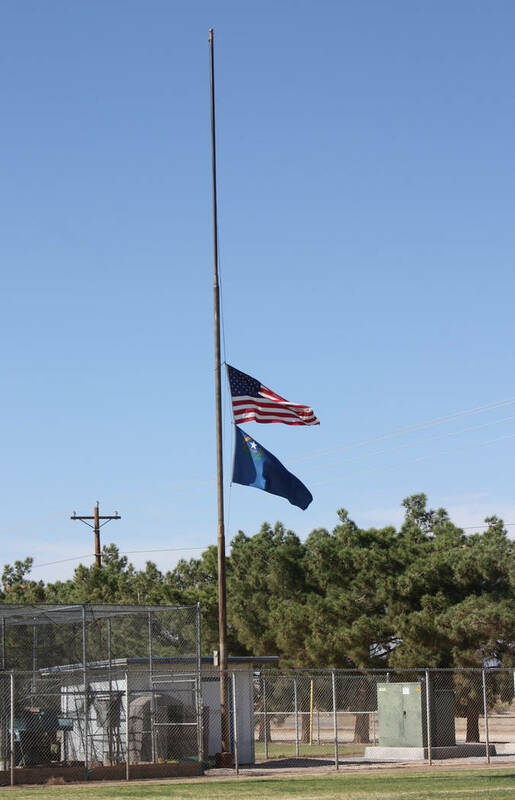 Flag and the Nevada state flag are posted at half-staff at all Nye County and Town of Pahrump buildings and grounds, including Ian Deutch Memorial Park, shown in this photo taken Oct. 29. The mayor didn’t want him to come. The county executive didn’t want to meet with him. Local Jewish leaders didn’t want him there. Congressional leaders of both parties declined to join him. On the other hand, I suspect that if Trump HADN’T scheduled a visit to the city, many of the same people would have publicly demanded to know why not. It’s not just Pittsburgh, it’s not just Trump, and it’s not just mass shootings or other terror attacks. Presidents who don’t show up to publicly mumble prayers, hug victims, and sign emergency aid proclamations after hurricanes, earthquakes, and tornadoes are uncaring heels. They’re ignoring heartbreak in the heartland — too busy playing politics to acknowledge tragedy. Presidents who DO show up after such events are uncaring heels. They’re impeding relief efforts with their motorcades and distracting police and public officials with their security requirements — playing politics with tragedy. Damned if you do, damned if you don’t. Can’t win for losing. Flip a coin. Or at least coolly calculate how to put on the show your most valued constituency wants to see. These days, the president is a combination golfer, rock star, Ron Popeil-style TV pitchman, and Jesus surrogate. The presidency described in the U.S. Constitution is a boring, tedious job for the most part: Sign or veto bills. Appoint officials. Negotiate treaties. Tell Congress how things are going every so often (until the 20th century, that was done in a written report, not a “State of the Union” speech). Serve as commander in chief, but only when there’s actually a war on (the Army was a tiny organization in peacetime until after World War II). Abraham Lincoln didn’t even get top billing at the dedication of the Soldiers’ National Cemetery in 1863. His “Gettysburg Address” came to about two minutes, wedged between band performances, prayers, and a two-hour stem-winder from semi-retired politician Edward Everett. And after the presidency came relative obscurity, at least compared to today. My mother fondly remembers encountering an elderly man out on his daily walks in Independence, Missouri in the early 1960s. His name was Harry S. Truman. No motorcade. No entourage. No adoring mob. Just another retired guy. From television to Twitter, American culture has turned the presidency into something else entirely over the last century — something unhealthy and idolatrous. If we’re going to have a president, why not keep him or her in Washington — at a desk with a stack of paperwork, away from television cameras and smartphones — instead of centering every aspect of public life around his or her actions and utterances? Sure, that would mean he or she couldn’t campaign for re-election. No problem. Limit the presidency to one term. Problem solved, with the fringe benefit of some peace and quiet for the rest of us.